Pastor Sika Yawo is a pastor, teacher and church-planter who heads Prisons, Orphanages and Children’s Ministry based in Lomé, Togo. He is well-respected for teaching the Gospel in prisons, military camps, schools and special events nationwide. He also works tirelessly with international organizations such as Operation Christmas Child, where he was director of the Maritime Region of Togo in charge of training and organization of distribution of shoeboxes each year. He now also oversees the Joseph Project Orphanage in his home village of Sika-Kondji, about 4 hours drive from Lomé. After corresponding with us for over a year and translating many of our printed resources into French for use there in Togo, Pastor Sika invited Shirley to visit in 2008 to teach training seminars for children’s ministry. After 2 weeks of speaking in churches, schools and prisons, and teaching seminars in both Lomé and Pastor Sika’s home village of Sika-Kondji, we got the vision to start the Joseph Project – a Christian orphanage and ministry center in the village that would share Jesus, and also model better ways of hygiene and sanitation, and some improved farming methods to help be more self-sustaining in the future. 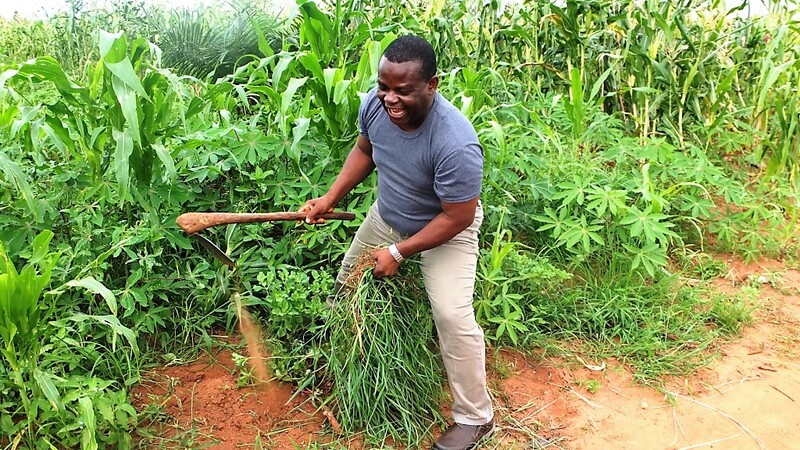 A 2-acre plot of land was donated for the Joseph Project Orphanage at the edge of the village, along with a separate 8 acre plot for growing maize, cassava and other local crops. As the village is isolated with no road, it took almost 4 years for the construction of two local style dormitory buildings, along with a covered meeting place. The orphanage finally opened its doors to 20 orphans aged 9-17 in July 2012. Soon after, Bethany Baptist Church was started inside the compound, sharing the Gospel with the staff and children, along with people from the village. As the light of the Gospel continues to grow, a number of key villagers (including a well-known local witch doctor) have given their lives to Jesus and now share their testimonies around the region. In June 2016 all the original orphans are now teenagers and most have finished with school. Positions have been found for many to learn trades, such as dressmaking, construction and fish-farming, and they have moved on to continue the next phase of their lives. Eleven new orphans from the waiting list have been accepted and moved into the orphanage. Also some changes have been made to the staff as plans continue for the orphanage to become more self-sustaining in the future. Construction continues on an important new building which still urgently needs roofing and doors. As of January 2017, we are pleased to report that the new building finally has a roof, but needs doors, windows, paint etc – around $3,500 is still needed for its completion. 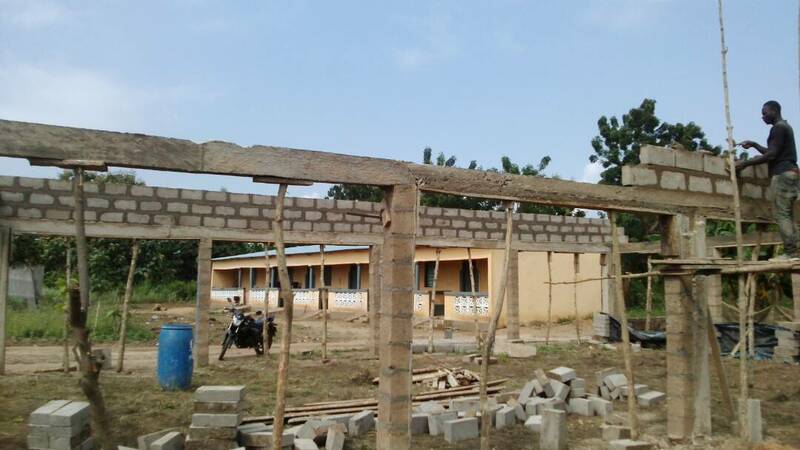 In addition to providing more dormitory space, an office, and a guest bedroom, the new building will enable the JP orphanage to become recognized by the government as an official orphanage – opening up more opportunities and connections with other NGOs and aid groups. The children are all in school and doing well in their new home environment. Now, in September 2017, we are pleased to report of several important advances at the JP orphanage. More orphaned and abandoned children were accepted in recent months, bringing the total to 18 children. The new building has finally been completed and is seen in the background of this photo, which also shows the new church building under construction. 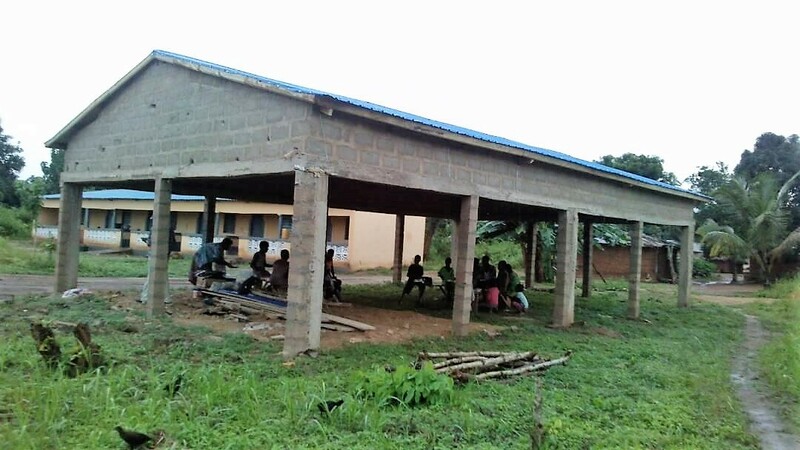 It just needs a roof and completion of the walls to make it a multi-purpose church and ministry center for both the orphanage and the surrounding communities. About $2,000 is still needed to complete this project. 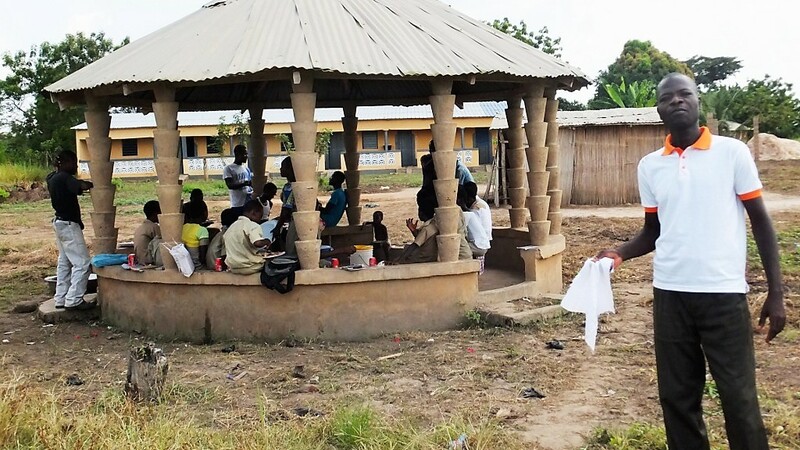 In June there were unusually heavy rains which caused the complete destruction of the bathroom block, and an urgent request was made for funds to build a better and longer-lasting one. PTL supporters were quick to respond and at last, after more delays due to rain, the new bathrooms are about to be finished. 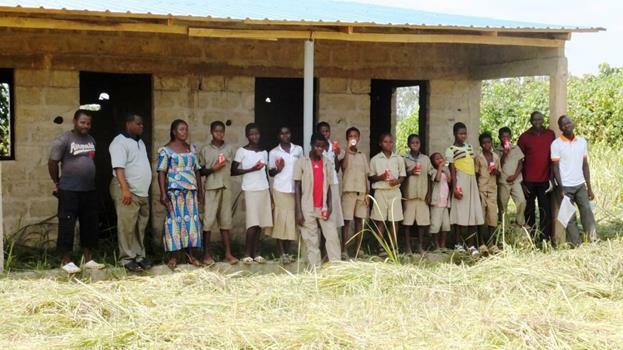 By the end of 2017, we were pleased to report that thanks to a generous donation from a family in Togo, a roof was put on the new church, enabling it to provide good shelter from inclement weather. It is hoped to add walls soon so that it can be used as a teaching center as well as the church. 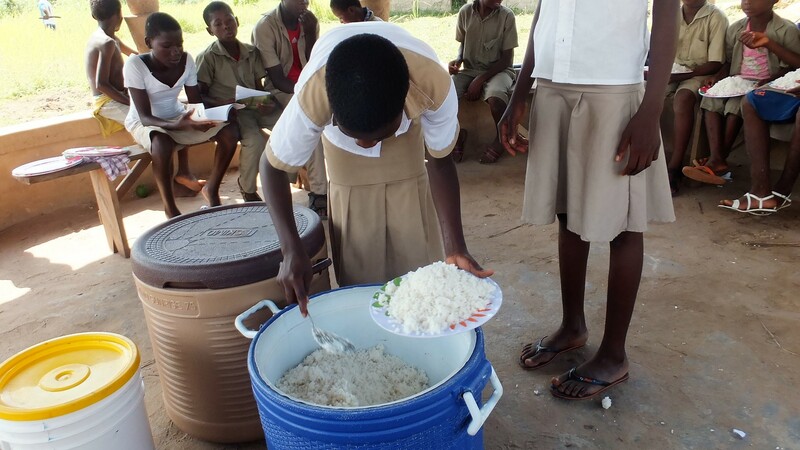 The agricultural project continues to grow and now produces several important staple food items during the year, including corn, cassava and yams, in addition to fruit from several trees. But as of late 2018, there is still need of about $1,000 per month to provide other needed food items, toiletries and medicines for the 20 orphans who are cared for at the JP. Most of the orphans are now teenagers, and in addition to doing well at the local school, and being part of the church, they help with the planting, harvesting and preparation of the crops. 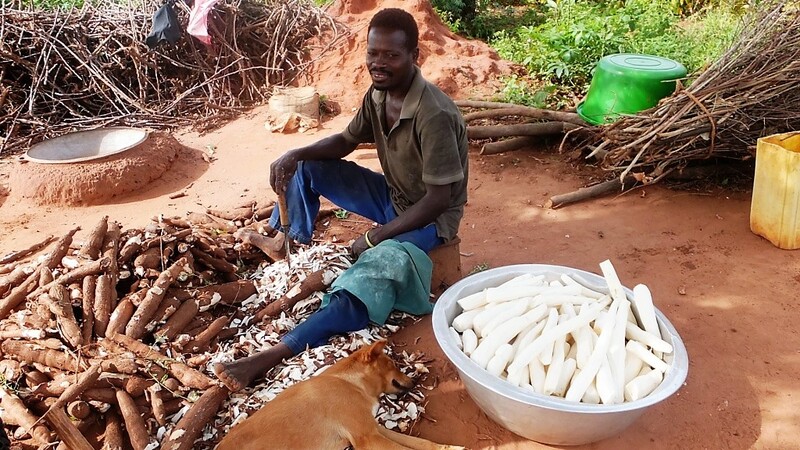 This photo shows the time-consuming work needed to prepare the cassava which provides flour and is also eaten in other ways.